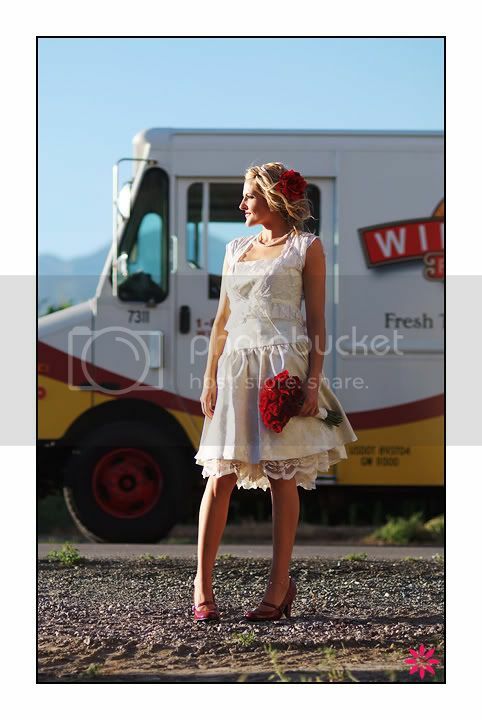 Rebekah Westover Photography: Latter Day Bride out-takes. 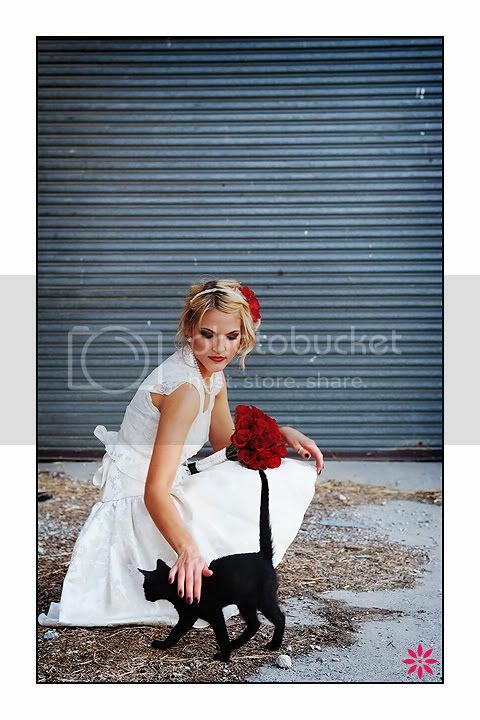 For my ad in Latter Day Bride this year, I concocted this shoot so that I could get some schnazzy pictures that would stand out. 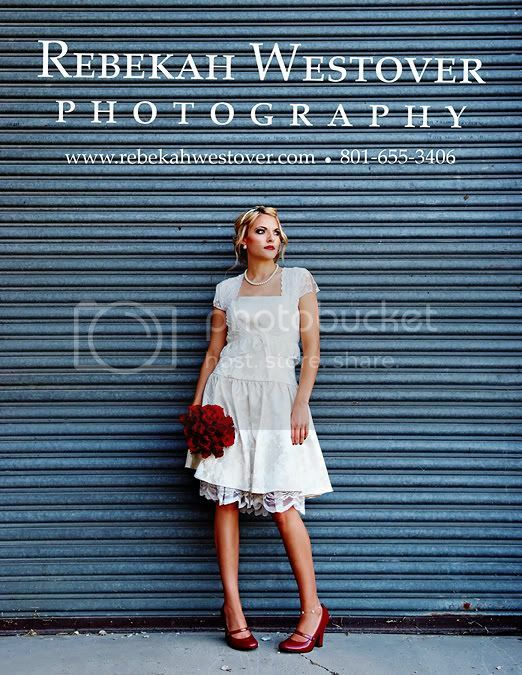 I wanted something kind of different so I had the model (my INSANELY gorgeous sister) wear a short wedding dress, with red shoes. She had a messy hair-do, and we went to a really ugly location. We spent three days prepping for the shoot (dress shopping, shoe shopping, location scouting, etc) and spent 20 minutes shooting. All in an effort to get that ONE sweet shot to use for the magazine ad. It was SOOO hard deciding on which picture to use. 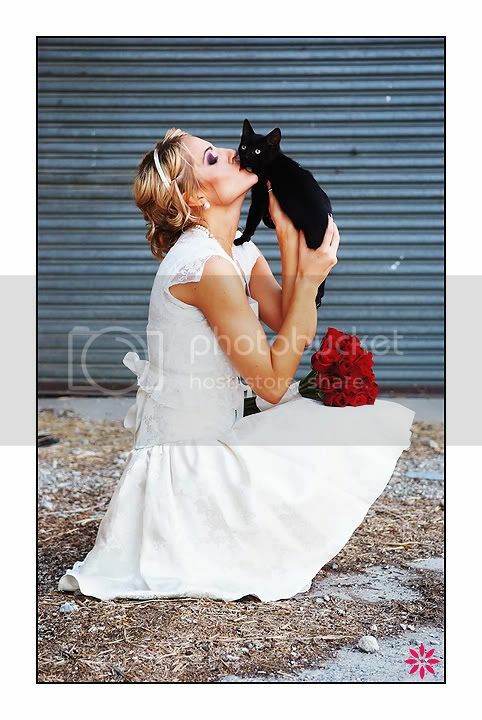 All the details of the shoot were planned except for the little black farm cat that showed up and wouldn't leave us alone. We couldn't get him to stay out of the pictures, so we just decided to work with him. He was cute and we wanted to take him home after the shoot. In the end, I chose this picture because I loved the quirky look of it. I loved how her feet were turned inwards, and she's kind of slouchy, and even looks a little bored. It's just hot! p.s. 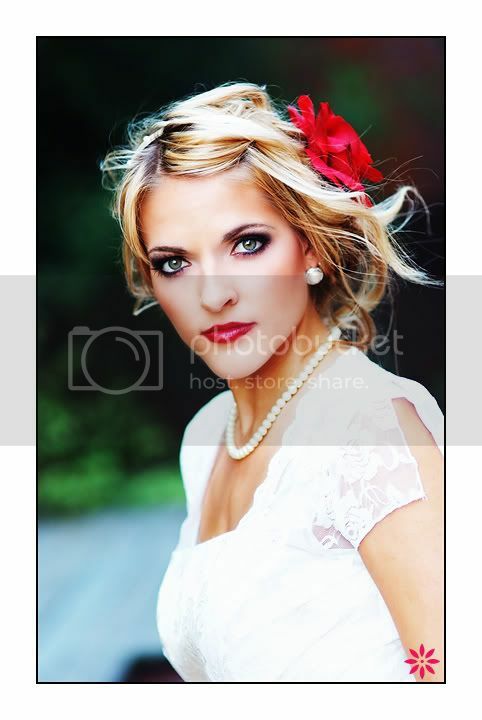 Seriously, there is no one in this world who is more beautiful than my sister. Seriously.